Farm & Fork Society: New Shares! Bread and Microgreens! New Shares! Bread and Microgreens! We are excited to add two new shares to the 2018 season! Each week for 24 weeks you will get two loaves of organic naturally leavened bread. Varieties include but are not limited to seeded sourdough, semolina, french country, garlic asiago, honey whole wheat, potato rosemary, and cinnamon raisin. $330, 2 loaves, 24 weeks. Each week (24 weeks) or every other week (12 weeks) you will get a container of tender and delicious microgreens. Crop varieties change weekly to ensure you experience them all. Weekly share may include but are not limited to, Pea Shoots, Sunflower Shoots, Chickpea Shoots, Signature La Garniture Mix (a colorful blend of mild & spicy greens Includes mustards, kale, broccoli, arugula, cabbage, chard, and radish), Radish Micros, Cilantro Micros and Basil Micros. Each variety will arrive in its own separate clamshell container made from recycled water bottles. Each weekly share comes with a recipe card. 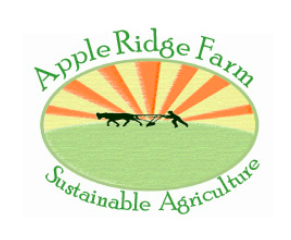 Located in Saylorsburg, PA and owned by Brian and Lisa Bruno, Apple Ridge Farm’s breads are simple, all based on 3 main ingredients, flour, water, and sea salt. 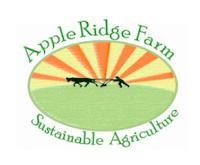 They use King Arthur organic flour and Farmer Ground organic heirloom whole wheat called Glen along with ingredients grown on the farm such as garlic, potatoes, and onions. All breads are naturally leavened. Chelsa Hernandez started Coeur et Sol Urban Farm in 2017 with a mission to grow commercial produce sustainably in Essex County, NJ. Coeur et Sol acquired their first ¼ acre urban lot in East Orange, NJ in October 2017. Since then, Coeur et Sol has become a trusted source of soil-grown Microgreens for chefs in Essex County, NJ. Starting in January 2018, Coeur et Sol has been bringing Microgreens to the kitchens of local residents.